In the age of the Internet of Things (IoT), billions of connected devices – estimated at 20 billion by the year 2020 – are set to permeate virtually every aspect of daily life and industry. Sensors that track human movement in times of natural disasters, kitchen appliances reminding us to top up on food supplies and even military implementations such as situational awareness in wartime are just a few examples of IoT in action. Exciting as these times may be, they also highlight a new set of risk factors for Security Specialists who need to answer the call for more vigorous, robust and proactive security solutions. Considerations around security monitoring and management are set to expand far beyond today’s norms as entry points, data volumes and connected hardware multiply at increasing rates in the age of hyper-interconnectedness. With next-generation smart products being used in industries such as utilities, manufacturing, transportation, insurance, and logistics, networks will become exposed to new security vulnerabilities as IoT and enterprises intersect. Smart devices connected to the enterprise can easily act as a bridge to the network, potentially exposing organizations’ information assets. Apply this scenario to a world where virtually every device can communicate with the network from practically anywhere, and the need for more forward-thinking security monitoring becomes apparent. Device-to-device communications will need stronger encryption and ways for network teams to monitor and understand communications, behavior and data patterns. With more “unmanned” computers, appliances and devices coming on-line, understanding new network anomalies will be a challenge. 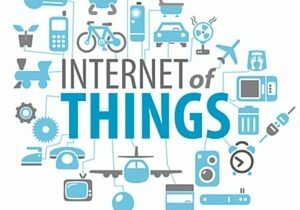 Embedded firmware, operating systems, shorter life-cycles, expanding capabilities and security considerations unique to IoT devices, will make networks far more complex and expansive than what they are today. IoT will hasten more heterogeneous environments, which security teams must be prepared for. The device influx will also drive IPv6 adoption and introduce new protocols. According to Technology.org, “Enterprises will have to look for solutions capable of guarding data gateways in IoT devices using tailored protocol filters and policy capabilities. Besides, regular security updates and patches will become integral to product lifecycle to eliminate every possibility of a compromise.” This will increase reliance on technologies such as granular Netflow collection that provides forensics and anomaly detection, which offers enterprises, trusted security solutions that are both easily deployed and capable of evolving organically alongside new technologies as they are introduced to environments. Traffic signal systems, power stations, water sanitation plants and other services vital to society are all incorporating IoT to some degree. Device security in a physical and non-physical context will be important as enterprises need to look at ways of preventing unauthorized entry into the network. Gartner asserts that, “IoT objects possess the ability to change the state of the environment around them, or even their own state (for example, by raising the temperature of a room automatically once a sensor has determined it is too cold, or by adjusting the flow of fluids to a patient in a hospital bed based on information about the patient’s medical records)”. Considering the risk to human life inherent in hacks into systems of this nature, the level of monitoring and surveillance for compliance is becoming more pertinent each day as these kinds of threats are starting to occur. This will place a high demand on end-point security solutions to be both timely and accurate in its correlation of network data to give Security Teams the needed granularity to provide context around current and evolving risks. The now infamous Chrysler hack is a primary example of the potentialities of IoT-based breaches and the threats they pose to human safety. Monitoring systems will be required to identify, categorize and alert Network Operations Centers (NOCs) on a plethora of new datasets, demanding big data capabilities from their network monitoring solutions. NetFlow, if used correctly, can offer an opportunity to provide enterprises with substantial intelligence and an early warning mechanism to assist them in managing the steady move toward IoT and take a forearmed stance in security operations. Netflow’s ability to match to the scale at which the enterprise will grow means NOCs will neutralize the threat of being overwhelmed in a deluge of devices that will generate volumes of data that require around the clock monitoring. They can achieve deep visibility – central to security in an IoT world – with a NetFlow monitoring, reporting and analysis tool that provides the ability to perform deep security forensics and intelligent baselining, anomaly detection, diagnostics and endpoint threat detection. NetFlow end-point solutions speak to the changing needs of the large environments by reducing Mean Time to Know (MTTK), which in turn shrinks Mean Time to Repair and Resolve (MTTR). For more information on how Netflow Auditor is helping organizations build comprehensive network security, performance and management solutions, contact us, or download a free copy of our guide on 8 Keys to Understanding NetFlow for Network Security, Performance & Overall IT Health.